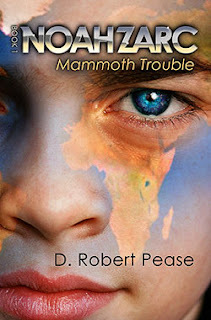 Today, as part of the GIR “12 Days of New Year” blog hop I’m interviewing D. Robert Pease, author of Noah Zarc: Mammoth Trouble. Hi there, Robert, please tell me a bit about yourself. I’m married with two fantastic kids, and live in the grey-sky world of Northeast Ohio. I’ve finally come to grips with the idea that I’m the least intelligent one in the house, and that includes the dog and cat. And how about your latest book? 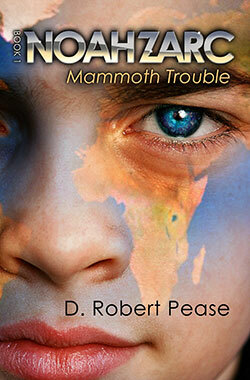 Noah Zarc: Mammoth Trouble is about a twelve-year-old boy from the future who travels through time with his family in an immense spaceship called the ARC. They’re on a mission to rescue two of every animal from Earth’s past and bring them to a post-apocalyptic world that has been wiped clean of all life. Of course it’s not as easy as it sounds and things don’t go according to plan. Where can people get this book? Is it your first book? It’s my first published book. I’ve got an epic fantasy novel that I wrote before Noah Zarc. But I’m not sure it’ll ever see the light of day. If so, what motivated you to publish it now? I’ve been working towards the idea of publishing traditionally for quite a few years. So there has been a lot of work perfecting my query, finding the right agents, researching publishers, etc… but just when I was about to actually start my search for an agent I came to the realization that I no longer wanted to go that route. 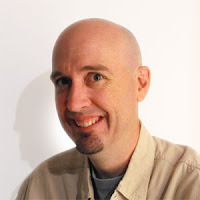 I’m an entrepreneur by nature, having run my own web design business for the past fifteen years, so the idea of self-publishing really began to appeal to me. I switched my focus to what it would take to do this whole thing on my own. It has been very rewarding, but also a whole lot of work. I discovered that the main thing I could not do myself was the editing. So I worked with the folks at The Editorial Department to get the book in shape. That was about a four-month process. So finally after about two years, Noah Zarc was ready to go. So the short answer is, I decided to publish now because I felt the book was ready, and the market was right for self-published books. I guess it’d have to be Noah, simply because I invested so much into figuring out who he was, and what makes him tick. He’s a lot of things I wasn’t as a kid. He’s daring, adventurous and not afraid to get in trouble if he thinks he’s in the right. Of course these are qualities, as a parent now, I’m glad my kids don’t have. I also relate to Noah Zarc, Sr. He was really a representation of who I would be for my kids. I would go to any length at all for their safety and well-being. What’s your favourite indie book that you’ve read in the past 12 months? This is a hard one. I’ve read some good ones. But I’m going to have to pick my friend, Susan Kaye Quinn’s novel, Open Hearts. I highly recommend it. What’s your favourite book of all time? This is pretty easy. The Lord of the Rings. As a teenager I fell in love with Tolkien’s world, and more specifically, the shire. I have a new dream of going to New Zealand and living in the shire they are building for the new Hobbit movie. My main advice for writers is, treat it like a business. Sure it’s fun. Sure writing can be the best experience, but in the end, if you don’t treat it like a business you won’t be able to do it for long. This means treating your book like a product. One that you want to be the absolute best it can be. Get good critique partners. Ones who aren’t afraid to tell you what works. Then, if you are going to self-publish, get a great editor. Not just one who looks for typos, but one who digs into the deep inner workings of the story. Plot, characterization, leaving no stone unturned. I don’t believe anyone should publish a book without professional editing. Finally get a good cover artist. This is your primary tool to sell your book. Don’t skimp. Also realize that this is a marathon. It can take a very long time to gain traction and begin to see some real sales. I have a sequel to Noah Zarc in progress, called Noah Zarc: Cataclysm. It should be out sometime this year (yikes it’s 2012 already!) I also have another series in progress based on the Biblical story of Joseph and the coat of many colors. It’s a fun fantasy about a boy in New York City who discovers a hidden dream world, which is ruled by a reincarnated pharaoh. I’m really excited about getting back to it after Noah Zarc is complete. Thanks Robert and all the best for your continued writing. If you’d like to know more about Robert, you can check out his website at http://www.drobertpease.com/ and his Facebook page, and follow him on Twitter.